Welcome to the International College of Martial Arts & Natural Therapies. The college was founded by Soke Sam Gervasi on the 28th May, 1992 and was officially opened by Professor Wally Jay (10th Dan Small Circle Ju-Jitsu) on the 28th April, 1994. 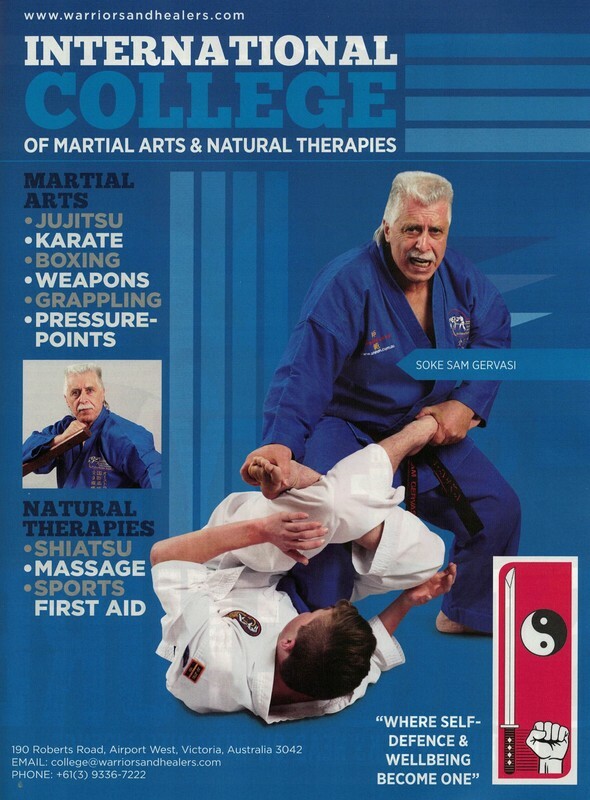 The College offers a variety or Martial Arts and Natural Therapies under the one roof. A welcoming environment where anyone can learn from the age of 4 to 104. We hope you find what you need here, however if you have any further queries, please do not hesitate to contact us on (03) 9336-7222. We look forward to meeting you.